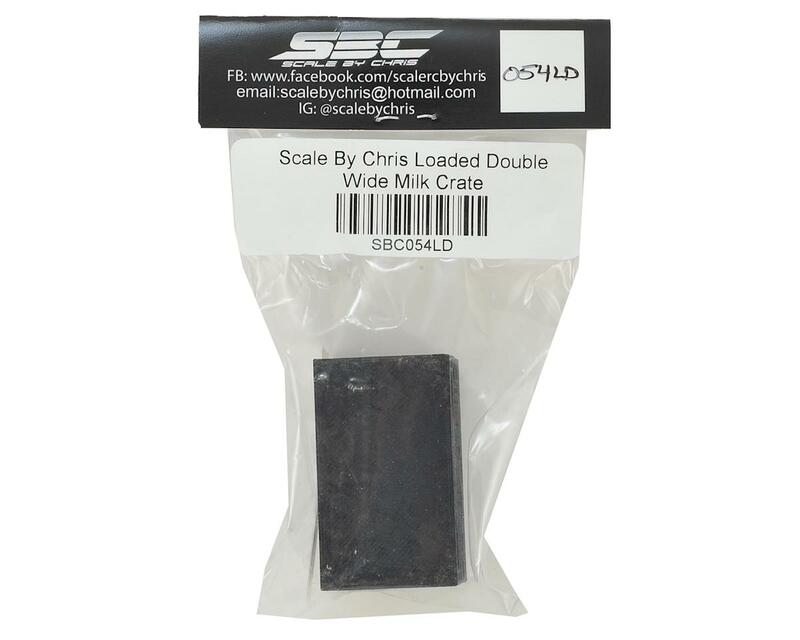 The Scale By Chris Loaded Double Wide Milk Crate is a 3D printed miniaturized replica that adds that perfect finishing touch to your scale rig or garage. 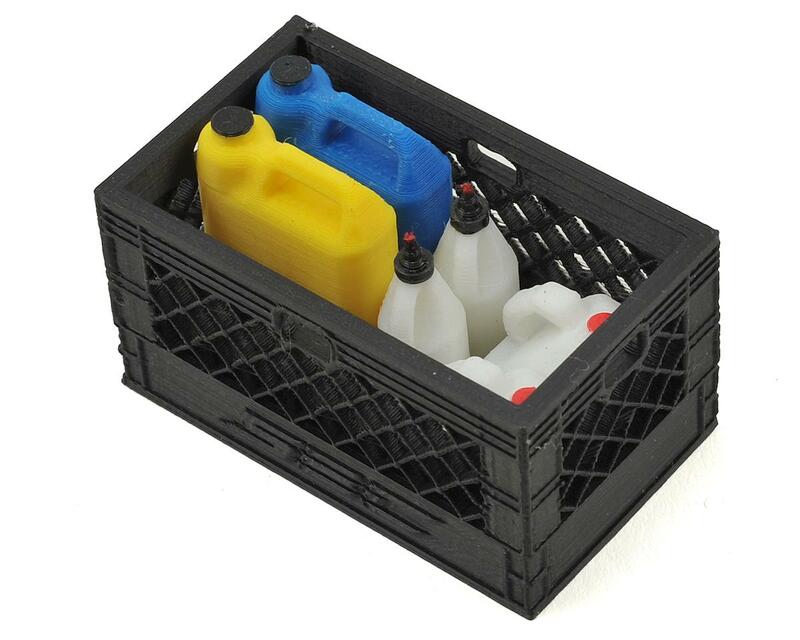 The crate is packed full of all the fluids your truck may need on the trail - coolant, transmission fluid, power steering fluid, engine oil and gear oil bottles. The crate measures approximately 49x29x25mm.